The NHVTA is committed to supporting the veterinary technology profession and is pleased to fund an annual scholarship for veterinary technology students. 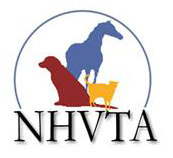 The NHVTA will award one $1000.00 scholarship for Spring 2019, to a veterinary technology student enrolled in an AVMA Accredited Program. Be actively enrolled and attending classes full-time at an AVMA accredited veterinary technology program. Must be a current member of the New Hampshire Veterinary Technician Association. Membership is free for students. A link to the free student member application is below. To apply, students must submit the following on or before Saturday, December 31, 2018. Second - Fourth-year students send a copy of your most recent transcript. The National Association of Veterinary Technicians in America (NAVTA) is pushing a national credentialing initiative to bring more uniformity to the credentialing of technicians. How do you see our profession changing in the next five to ten years? How do you see yourself fitting into your new role?